I spent most of this week at the Boyd Conference (properly known as the International Aviation Forecast Summit). While I have plenty of posts to compile from that, it’s something that wasn’t announced at the conference that grabbed my eye for today’s post. American rolled out a large number of changes to its international network. Though most hubs were touched, there were three in particular that I found most interesting: Chicago, New York, and Philly. First, let’s look at a summary of the changes in this chart from American. Now let’s get into detail. Over to Europe, it was a mixed bag. Manchester is going away. That British Airways joint venture was expected to boost American’s opportunities throughout Britain, but it didn’t work out that way. Manchester just hasn’t worked well even as a summer-only flight, and so it’s out of there. If there’s any good news, it’s that Chicago will get a summer-only flight to Athens. For American, JFK is about serving big business markets. It wants to be in LA, San Francisco, London, etc. It has continually reduced its footprint in New York, so this isn’t entirely surprising to see (and it’s not a bad idea), but it’s remarkable to think about how little is left. At first glance, it looks like Philly is gaining a lot. It gets new summer-only service to Berlin, Bologna, Dubronvik, and Edinburgh. But there is a price to be paid here as well. It loses its summer flights to Glasgow and Frankfurt along with its year-round Munich flight. The Edinburgh flight was moved down from JFK, and with Edinburgh and Glasgow so close to each other, it probably didn’t make sense serve them both. Glasgow lost out. But it’s what’s happening in Germany that’s more interesting. Notice that Frankfurt and Munich both go away. These are all Star Alliance-stalwarts that made more sense when US Airways was a part of Star, but they are also big markets in Europe that you’d think would still be served. Instead, flying to Frankfurt and Munich will require going via DFW (which gets a new summer seasonal flight) or Charlotte… or through Europe on a joint venture partner. Meanwhile, Berlin joins the Philly network. Berlin has always been a weaker market than the other two from the US, so what gives? It looks like American is going for a boutique model here, for lack of a better term. It’s pretty easy to get to Munich and Frankfurt from most points in the US thanks to the large Lufthansa/United network. Berlin is much tougher. While we’re at it, throw in Dubrovnik and Bologna as places that can’t be reached at all directly from the US. This summer, American flew to Prague and Budapest, popular tourist markets with extremely limited flights to the US as well. Presumably that scarcity of good options means American has the ability to collect a higher fare. That’s usually what happens with limited competition. It appears the idea is to make Philly the airport for those who need to reach difficult places in Europe. I suppose this isn’t a risky strategy, but I and many others have a feeling that we’re at the top of the cycle (or starting the slide down) in the economy. These markets don’t seem like markets that could survive well in a downturn. There were some interesting changes in other markets as well. Here are my random thoughts on some of those. Charlotte – Munich: Lufthansa has flown from Charlotte to Munich for years, probably much to BMW’s delight since it has plants on both ends. But now American is moving its Munich flight down from Philly. Is this just a hub realignment or is this an effort to try to push Lufthansa out of there? Phoenix – London: It was hugely exciting for people in Phoenix to get their first international American widebody flight with a summer flight to London. But this isn’t as big a deal as it seems. British Airways has had a daily 747 flight for a couple decades. After a successful May/June test of a second flight on certain days in 2017, it trotted it out for the full summer season in 2018 with thrice weekly service. Since BA and American are joint venture partners, I assume this new daily American 777 will replace the second BA 747 flight. That does mean Phoenix will have more flights to Europe (14 per week vs 10), but with a smaller seating capacity than the 747 that BA uses, it’s not as dramatic of a change as you might think. This is a whole lot of change, and I appreciate American doing it all at once. Some of these are fun risks (Dubrovnik) while others seem to be simply a culling of the worst-performing flights. I think some may work, but depending upon what the economy does, that could change very quickly. It’s disappointing that AA doesn’t fly to FRA from all of it’s hubs. One would think that 787-8 service would work, but I they just can’t compete against LH. Instead they should serve all the secondary German markets. Not surprised by the JFK cuts, it just makes sense. (And no, AA isn’t pulling out of JFK!) With the price of fuel costing each airline hundreds of millions of dollars, look for others to eliminate unprofitable markets too. On a side note, domestically AA flight schedules are not business traveler friendly. AA’s strategy is if a flight doesn’t connect to a bank of flights at their hubs, they won’t fly it. It leave big gaps in flight times that are just not convenient, even in big markets. I’m a little surprised Air Italy doesn’t already serve Bologna from the US. They don’t have enough aircraft in the fleet to support it. I’m sure United is LOVING the cutbacks in Chicago, knowing that they have year-round service AMS, BRU, CDG, FRA, LHR, MUC and seasonal service to DUB, EDI, and FCO. Additionally, year-round partner service to ARN, BUD (I think LOT offers year-round), CPH, FRA, IST, KRK (again, I think Lot offers year-round), MUC, VIE, WAW, and ZUR. The only year-round OneWorld flights to Europe will be the daily BA/AA runs to LHR and Iberia to Madrid – Finnair’s HEL flight remains seasonal. As a Chicago flyer with LOTS of options, I’d be hard-pressed to pick American for anything in Europe. And, while some of these new routes are intriguing, I’d personally pass on a 10 hour flight to SE Europe on an ancient 767 without seatback entertainment. Knowing a connection is involved no matter what, I’d gladly take the UA, Lufthansa, Austrian, or Swiss with an easy connection at their great European hubs. Dropping ORD – PVG is interesting. I would assume Chicago has enough demand to China where Oneworld would want to keep a flight. Especially with a smaller 787 which was designed for long thin routes like that. UA and China Eastern have to fill massive 777’s on that same route. Are they having issues filling those planes? AA just not cutting it against the competition? Seems to me the AA strategy has been to superhub DFW and CLT and the rest is, as you say, boutique. It is tricky (but possible) to pull off PHX-LHR+LHR-PHX with one single aircraft, due to the flight lengths leaving little margin for any delay/error. I wonder if AA will start cycling in 777-300s into the domestic network thru PHX, or if it will be one dedicated aircraft; more likely I guess is that the plane would be scheduled to be switched out in LHR with one from another AA hub. I know it’s probably the least interesting of these changes, but I have always found that FLL-PAP flight to be so random. Especially with AA significantly cutting FLL service a few years back. With their hub at MIA literally 30 minutes down the road, and with B6 and NK offering the route out of FLL, why bother flying a direct non-hub flight out of FLL? A large portion of the Haitian population lives in North Dade/South Broward, so FLL is closer and easier than MIA. Interesting fact about the FLL-PAP flight, it checks in from mobile check in kiosks on the arrivals level in baggage claim due to the number and weight of bags. Does this imply AA is essentially giving up on being the elite business loyalty airline of choice in NYC and Chicago? As an ORD flyer, it’s feeling like AA is giving up on being the airline of choice, period, in Chicago. I moved here from STL and had been a loyal AA customer for years. A few years back, I reluctantly made the jump to UA. No regrets even with UA’s problems. Should AA really even put effort in flying international out of CHI? With Oneworld partners flying to their home countries that should be enough that AA doesn’t have to go international from CHI. It would seem United/Star Alliance is the power house out of CHI, so AA should put its efforts in PHI CLT DFW MIA where they are top dog. Alliance partners help. But frequent fliers don’t get the sane benefits as flying on “home metal”. Even Joint Venture partners don’t provide a 1:1 benefit. That’s why elite AA fliers that value those Asia routes (especially) will likely switch to UA or (if connecting from the Mid West) possibly DL. Lack of route coverage is by far the biggest reason FFs switch loyalty. So reducing ORD to just a domestic feed hublet may stem losses in the short term, but jeopardizes long term profitability as you lose market share. It does appear that AA is going down that route though. Bologna and Dubrovnik seem like plays out of the Delta JFK playbook – similar to their Pisa, Lyon, Malaga and Nice operations, although Malaga and Nice are only flying this year. On a slightly related topic, with AA drawing down JFK flying by a few more flights and UA stating that exiting JFK was a mistake, is a door opening for some kind of slot sale (or swap with assets at another airport) to get UA back in? Mattnrsa – I can’t imagine any scenario where American thinks it’s a good idea to let United get back into JFK to compete with American’s important LA/SF flights. Can someone explain to me why UA would want to be at JFK for a few flights a day to CA when they have such a great operation at EWR with an easy direct train ride into the city? Who the heck does it help them pick up? I assume anyone on the east side of NYC is already a Delta, JetBlue, or AA flier. And why would UA fliers in CA care about JFK over EWR? Tory – It’s just the way the market works. People prefer JFK for that transcon route. Whether it’s because more people are going to the east side of Manhattan or what, I don’t know. But it makes a difference. The idea is that UA can chase higher-yield passengers flying from CA with an ultimate destination in the eastern part of the city or – particularly – Long Island or southwestern CT, which are PITAs to get to from Newark. On one hand, UA is by far the largest airline at SFO and San Franciscans wanting to fly to JFK might want to keep their miles on UA if they had the option. But UA doesn’t have that advantage at LAX. And on the other hand, setting up a new station for a few “p.s.” flights a day would be very expensive, they’d run the risk of cannibalizing some of the existing EWR traffic, the JFK Three would be very likely to retaliate, and there’s a lot of demand for slots at JFK – not only would AA not want to give them up, but B6 and DL wouldn’t want UA to get them either. A lot of people have it in their mind, that if they are going to New York city they must use JFK if they can’t use LGA.. Like people going to London think you must use Heathrow even if going non-stop to Gatwick would be better. Then there are the people going to New York who think Newark is in New Jersey and don’t understand how close to Manhattan Newark is. Scott Kirby did say he thought it was a mistake for UA to abandon JFK as it likeky cost them corporate contracts. However he didn’t say they should pull out all the stops to go back. Once the contracts are lost they’re lost. You can’t just go back, snap your finger and expect the contracts/people to return. Something AA is now going to have to deal with, at JFK and ORD. I tend to agree with the notion that these changes are part of a smart, ongoing realignment, not capitulation. The old airline business model was to compete head to head with one’s peers and watch the money go flying (pun intended) out the window. The new model is to find one’s profitable market niche, stick with it, and grow it. No airline, no matter how big, can be all things to all people. Airlines that tried that have gone away. The old mantra was “too many seats chasing too few passengers.” At the bottom of the last recession, the major airlines finally woke up and took the equivalent of one of them out of the system. Now they’re profitable. American has always been the “weak sister” to Asia. I have little doubt its management knows that. But it also needs to have a presence there. Why beat one’s corporate head against the wall competing where one is relatively weak, instead of leveraging its competitive position by flying from places where it’s stronger? That’s basically what American is doing. American has always played second fiddle to United in Chicago. But it plays a strong second fiddle. The situation in Chicago isn’t unlike the long standing competition here in Phoenix between America West (US AIrways / American) and Southwest. America West survived by differentiating itself from Southwest, not going head to head with it. Southwest did the same. Both airlines have thrived here. So why go head to head with United to Asia when one doesn’t have the historical presence to do it? Why not carve out one’s own profitable niche? One point about Tokyo that shouldn’t be overlooked is that ANA flies from Chicago to Haneda. I wonder what the situation would be if American or JAL flew into Haneda. If nothing else, they’d avoid Godzilla. The same thing applies in New York. American doesn’t have the capacity to go head to head with Delta in New York, so why should it? 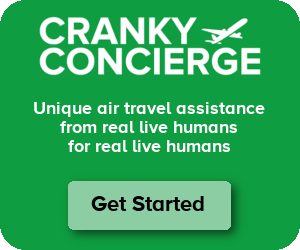 The airline can still carve out a profitable niche there. It seems to me that it’s working hard to find that niche. I could be wrong, but American has roughly the same number of flights at JFK as it did pre-merger. But the airline now has an omni-directional hub about 100 miles away in Philadelphia, where it’s much easier to make connections. Based on Wikipedia (which I know isn’t always completely accurate) Delta has right around 500 daily departures from New York (LaGuardia and JFK combined). American has almost 700 if one combines Philadelphia (420), LaGuardia (170) and JFK (100). Each airline has its own niche. In conclusion, I have to ask this rhetorical question: What’s more important, market share or profitability? You lost me when you lumped PHL in with LGA and JFK. Sure, Philly is “close” to NYC, but it’s not interchangeable. PHL is a big enough market to warrant it’s own sizable traffic but it’s no NYC, nor is it a prime location like CLT for connections. Have to disagree about PHL vs CLT for connections – if you’re connecting from a big swath of the Midwest and the South, there’s really not a material difference in total flying time to Europe. If you’re connecting to the West or Northwest, CLT is preferable to PHL, but DFW is preferable to either. My point is that American doesn’t have to be number one in New York. It has its own market niche. I didn’t compare PHL to CLT. I don’t see people driving between Queens and South Philly to take a flight. I don’t see them taking 3 trains either. An old Southwest ad might have called Philly a mini-New York, but that doesn’t mean that they are even close to interchangeable. I didn’t write that PHL is an alternative to JFK or LGA. My whole point (maybe poorly written) is that American doesn’t have to have a major presence in New York. It can be very profitable in Philadelphia while being a niche player in New York. Delta has a very small presence in Chicago, but it’s quite profitable because its found its niche markets in Detroit and Minneapolis / St. Paul. I’d be interested to know the scuttlebutt among AA crews after this news, especualy the ORD-based ones. On net, the new Europe flying should cancel out at least a lot of the Asia cuts in terms of flying opportunities, but a lot of that is seasonal and touches other hubs. Looks like they are going after leisure travelers. It seems like an interesting strategy. It looks suspiciously like AA is throwing in the towel at ORD. They’ll now have just one solitary long haul international route with year round daily service; London. AA is going to learn that shrinking your way to profitability leaves you worse off in the long term, just as UA found out when the previous regime tried that between 2012-2015; something Scott Kirby is now righting, and he’s just been given a big helping hand by his former employer. United (mostly) and Delta must be rubbing their hands with glee as they take market share. AA’s high value frequent fliers who need the China/Asia services will switch away and will take all their flying with them, and that will make other routes (including domestic to/from ORD) less profitable. I’d expect to see more downsizing or at least down gauging) next year, maybe not as high profile but it’ll likely happen. Secondly, in one fell swoop, capacity on Chicago-China will be slashed by about a third, and (once DTW is factored in) Mid West-China will drop around 25%. That will mean fewer seats, fewer discount fares, higher average fares, yields and margins … for United and Delta. AA’s desperation in cutting those routes completely will make UA’s and DL’s equivalent routes more profitable. Every time AA cuts another route from JFK, the chorus is ALWAYS “but they/we have a valuable niche in the top markets” and yet the cuts just keep coming. The reason why the concept of playing niche player in someone else’s hub doesn’t work is because the other carrier that does hub there (whether that be DL at JFK or anyone else) is going after the same local market PLUS has the ability to connect dozens more cities that AA can’t serve. The result is exactly what we have seen in every one of these markets that AA has cut – they reduce fares to try to better compete for the local market, the other carrier matches those fares and may use larger aircraft as well, and AA ultimately walks away from the market because the revenue they get is so much less than their hub competitor. There is no example of any carrier successfully operating as a niche carrier in someone else’s hub. AA at JFK will be down to simply its own and partner carrier hubs before long. As for Chicago, it is also no surprise that AA’s strategy of growing its own Asian network hasn’t worked. DL and UA both acquired assets or merged with a carrier that had a large Asian presence. AA underperforms DL and/or UA in every route they directly compete on to Asia including if DTW and MSP are used as comparable hubs to ORD. DL and UA clearly have the contracts to be able to obtain higher fares than AA where a 10% difference in average fares turns a profitable route into one that is unsustainable. The fact that AA execs said they endured millions upon millions of dollars of losses for years flying from Chicago to Asia says that the excuses about high fuel prices and current capacity from Chinese carriers is not the real root of the problem. Finally, AA’s strategy of pulling out of major international business markets only to operate summer seasonal routes to leisure destinations should raise eyebrows considering the recent order to replace most of AA’s older transatlantic routes on a 1 for 1 basis. Buying brand new aircraft and then being unable to sustain year round service means the cost of ownership for those aircraft will be very high when they are used. Leisure heavy routes flown on a summer seasonal basis won’t pay the bills for brand new 787s. American continues to struggle to meet its goal of being a valid competitor to Delta and United in the international marketplace, one of the key justifications of the AA-US merger. To me it’s now sad to see AA pull out of Chicago when they inherited what I considered a better option in their St. Louis hub inherited from TWA. As I nearly always have to connect to go to my primary travel destination of Des Moines, I almost am always forced to connect at ORD, which I hate. I don’t think any of AA’s mergers should have been approved. They just keep clawing back. And it’s sad to see their beautiful terminal at JFK (I live in NYC) be underutilized. I find your comment on the economy interesting. While obviously none of us know exactly what will happen, I haven’t had this much confidence in the economy since 2005 or so–this is certainly the most confident I’ve been in the economy during my adult life. The reduction in international service from Chicago is not surprising. The only reason why Chicago had the level of international service that it had was because pre US merger, it was the only vaiable option (outside of DFW) with the right blend of connectivity and large O&D for many Asian/European routes. Post merger, Philly became the better option for many European routes and LA grew to become the better option for Asian routes. I am curious as to why AA or LH doesn’t want to fly a couple of legs a week to FRA or MUN? BA is always stuffed at capacity. I am curious as to why AA or LH or even UA does not fly a couplye of legs a week to the EU mainland (FRA or MUN even Amsterda) BA I think operated a full capacity on thier daily flight. Why no competition? Last I checked, UA flies twice daily to FRA and once daily to MUC from ORD. LH also flies each of these routes at least daily. United flies from ORD to FRA, MUC, BRU, FCO, CDG, EDI, DUB, and AMS. Sorry. Should have clarified. PKX to MUN or PHX to FRA? How come no mention of any changes in MIA? Is it because they are the major player there and the routes are neither being shrunk or expanded? TC99 – You see all the changes that are being made in that graphic.